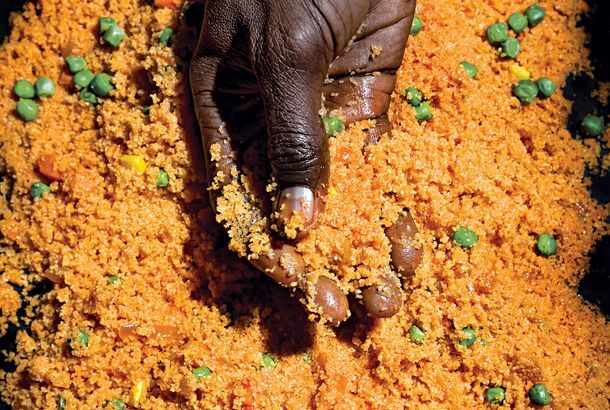 Teranga Takes a Fast-Casual Approach to Pan-African CuisineThe restaurant opens at the Africa Center in Harlem early next month. Chef J.J. Johnson Shares Details on His New Rice-Focused RestaurantThe Harlem chef wants to create a fast-casual spot that’s community-oriented. Here’s How to Get Tickets for This Year’s Harlem EatUp! FestivalThe food festival returns on May 14. Inside Dapper Dan’s New Harlem AtelierThe legendary couturier partnered with Gucci on a new space. 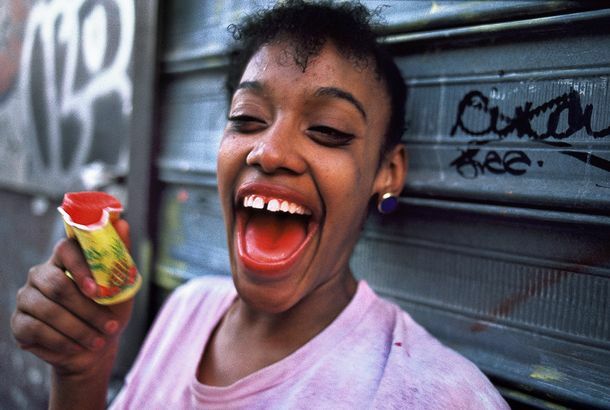 Striking Portraits of 1980s Spanish HarlemA new book by photographer Joseph Rodriguez. 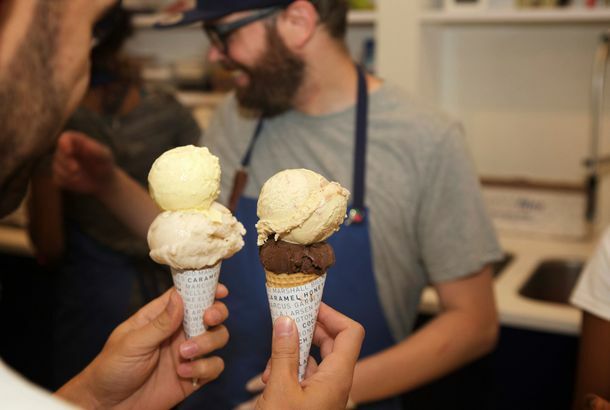 This Harlem Couple Just Opened NYC’s Most Charming New Ice-Cream ShopThe husband-and-wife team behind Sugar Hill Creamery thinks critically about community building and delicious dessert. 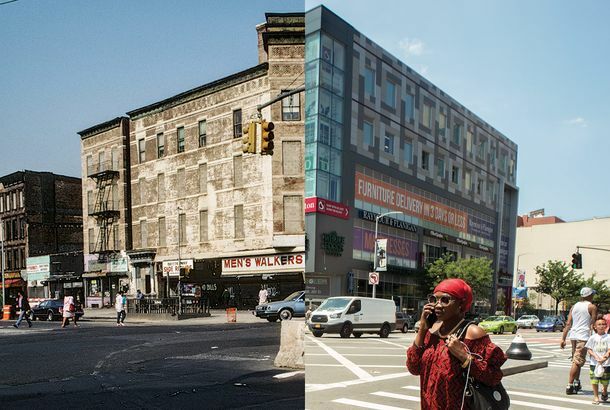 From Alligator Shoes to Whole Foods: Watching One Harlem Corner Over 28 YearsA photographic history of gentrification at 125th Street and Malcolm X Boulevard. Why the Cecil in Harlem — One of NYC’s Most Celebrated Restaurants — Will CloseAcclaimed chef Joseph “JJ” Johnson will shift his focus to nearby Minton’s. Blogger Paola Mathé’s Harlem StyleTake a colorful trip uptown. 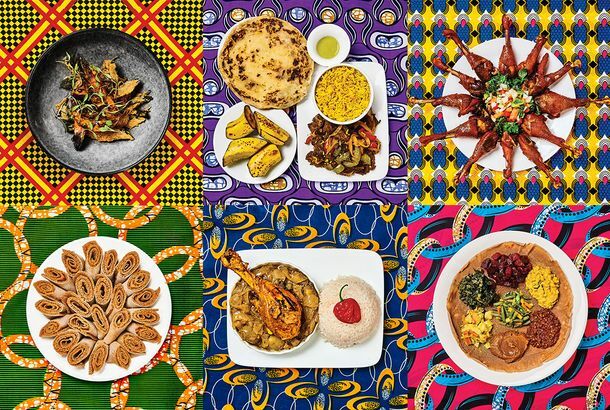 A Guide to Harlem’s New Wave of African RestaurantsLong a hub of Senegalese cooking, it’s now home to a wider range of spots specializing in various cuisines of the world’s second-largest continent. Marcus Samuelsson’s Harlem EatUp! Festival Returns This MayBill Clinton’s the honorary chair, once again. How Hillary Clinton Won HarlemEven with a bad cough, she came to play yesterday. 16 Fresh New Brunch Spots to Try in New YorkDirt Candy, the Clocktower, Maman, and more. Harlem’s Mountain Bird Returns With a Rich, Meaty MenuHow about a turkey burger topped with foie gras and truffle-mornay sauce? Dad Arrested After Leaving 3-Year-Old in Harlem Subway ShopHe told police he woke up drunk the next day near Battery Park. A Harlem Bakery Just Debuted Sriracha DoughnutsNo one can stop the sriracha onslaught. Marcus Samuelsson’s Streetbird Rotisserie Opens This ThursdayIt’s a chicken mecca. Check Out the Amazing Lineup for the First-Ever Harlem EatUp! FestivalFeaturing Marcus Samuelsson, Paul Qui, Ludo Lefebvre, Frank Pellegrino, and Melba Wilson. Mountain Bird Closes in Harlem, Owners Plan RelocationThe owners cite issues with their landlord. Bronx Teen Commits Suicide After Getting Caught Cheating on TestReally awful. Looks Like the Original Lenox Lounge May Not Reopen for a WhileAlvin Reed needs investors. Soul-Food Queen Sylvia Woods Honored With Street RenamingThe pioneering chef and restaurant owner died in 2012. No One’s Really Saying Nice Things About the New Perkins Restaurant &This is the chain’s first Manhattan location. East Harlem Explosion Autopsy Results Released Grim. Revived Lenox Lounge Set to Reopen Blocks Away From Original SpaceCome blow your horn, and all that. Harlem’s Bad Horse Pizza Accused of Being Not-So-Kid-FriendlyKids don’t like pizza anyhow, right? The Most Dangerous Bar in New York Should Probably ClosePJ’s Cocktail Lounge in Harlem has a bad reputation. Richard Parsons on the New HarlemHarlem on the rise. Lenox Lounge Reopening Pushed to Spring of 2014Take the A train, but slowly. What to Eat at Minton’s, Harlem’s Revived Supper ClubIt opens on 118th Street on October 21. Exclusive: Bruce Weber and David Bailey Photograph HarlemTwo legendary photographers shoot the neighborhood they love. Harlem Assault Turns Deadly For Transgender VictimPolice are considering Islan Nettles’s death a hate crime. Man Pays $1 a Month for Two-Bedroom Harlem ApartmentEveryone go ahead and hate this man. Cinnamon Smell in Harlem Is Actually GasDo not be alarmed. The Smell of Cinnamon Will Waft Out of Harlem’s Gas PipelineThanks, Office of Emergency Management! Rao’s Hollywood Names Nicole Grimes Executive ChefA Beard Foundation semifinalist joins the team. Harlem Coffee Shop Posts Marriage-Equality Sign and Loses Exactly One CustomerSomeone needs a double shot of espresso. Harlem Man Charged in Stabbing Death of Deaf Teenage GirlfriendHe allegedly hid her body in a barrel. Crossing Guard Probably Will Not Face Criminal Charges Over Death of Harlem BoyFlavia Roman was not at her post when 6-year-old Amar Siarrassouba was hit by a tractor trailer. 6-Year-Old Killed by Tractor Trailer While Crossing Guard Was on BreakNo criminality is suspected.